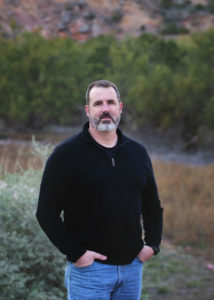 Jeff Casebolt PhD is an instructor at West Texas A&M University and Director of Biomechanical Research for Dynavec Multi-Directional Resistance Systems (Instagram / Facebook). He has been associated with the fitness industry since 1991, working as a personal trainer, strength and conditioning coach, and corporate fitness coordinator. His research interests include increasing function with strength training across all ages, lower body power development, injury mechanisms, and fall prevention among the elderly. The origins of Dynavec, and the trials and tribulations in bringing the “Gluteator” into the fitness industry. How the Gluteator Glute Systems uses multi-directional resistance to effectively stimulate the glute musculature. That was one of the more interesting interviews that I’ve heard from you. The guest is obviously quite knowledgeable. Moreover, he has experience and fluency in a number of different realms: HIT, traditional S&C, olympic lifting, physical therapy, and academic biomechanics. That makes for some interesting insights. I really enjoyed hearing about the evolution of his business. I also enjoyed the discussion about different ways to work the glute. I have never hear anyone use the phrase hip “A-B-duction”, but it makes sense as a way of avoiding confusion. I imagine some squat advocates had their heads explode when the phrase “glutes aren’t firing” was uttered. However, his follow up comments show that he had a great deal of contextual understanding of the issues. Thank you Greg. Glad you enjoyed it.